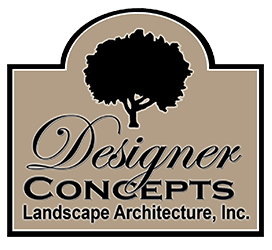 A horticulturist or landscape architect will select high-quality plantings ideal for your growing location, aesthetic preferences, and desired maintenance level. We carefully amend your soil to create the best possible growing conditions for your new plants and flowers. Beautify your home with plantings that enhance curb appeal. Add value to your home with plants that provide shade and privacy. Whether you’re looking for a gorgeous expanse of lush lawn, a manicured flower garden, a grove of shade trees where you can hang your hammock, or plants that provide privacy for your outdoor living space, the DCLA team is on the case. We’ll guide you toward making the best selections that will thrive in your landscape. The right plants, carefully chosen and planted, mean you get to enjoy a beautiful landscape that looks great in all seasons.